Let the sea wind tousle your hair. Conquer the dunes as the sun rises. Listen to the seagulls screeching and the wind whistling in the birch trees on the shore. 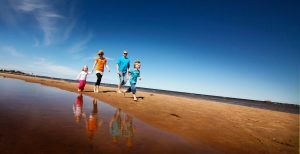 You will fall in love with the unique sea nature surrounded by Hiekkasärkät tourism resort and kilometers long endless sandy beach! The wonders of Kalajoki invite you to be active- in all seasons! Go stand up paddle boarding, geocaching, canoeing, sailing, and karting. Take a bicycle and go to the woods, rural villages and the seashore. Hike over duckboards. Surf on the waves or the ice. Play a round of beach volleyball. Do yoga on the sand or snow. You can choose accommodation possibilities near the beach, restaurants, activities or next to spa or golf course. We can provide for you hotel rooms, apartments, holiday houses and traditional Finnish cottages. Choose meals, local activities, meeting services, Kalajoki Booking Centre can organize it all for you for you in one local service. 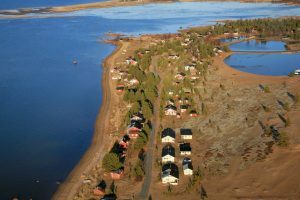 Take Kalajoki by storm – and let it take you over! 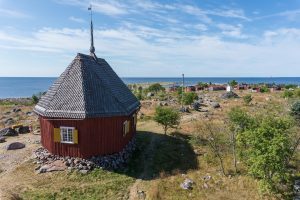 – Kalajoki has a year-round vibes to choose from.